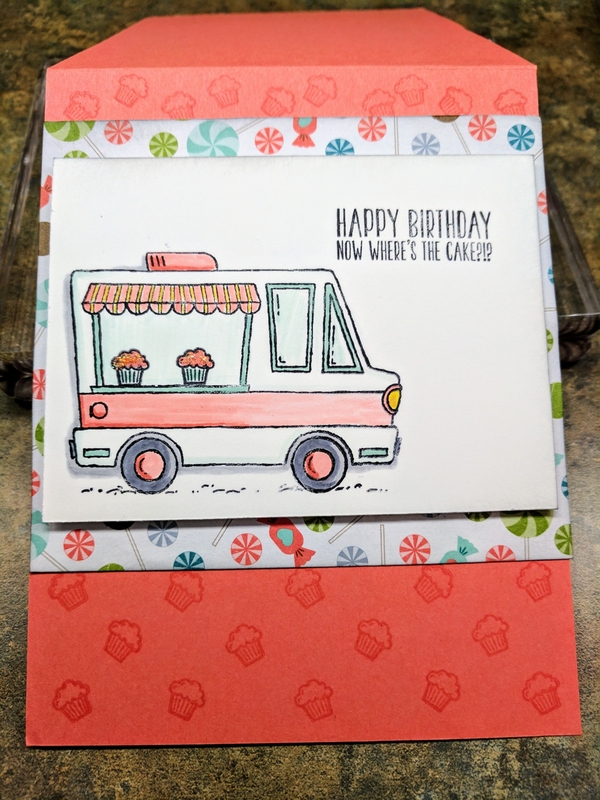 The card I’m making today is with a stamp set by Stampin Up Tasty Trucks. My four year old son picked this one out of the Sale a bration catalogue, it was free when you spent $60. 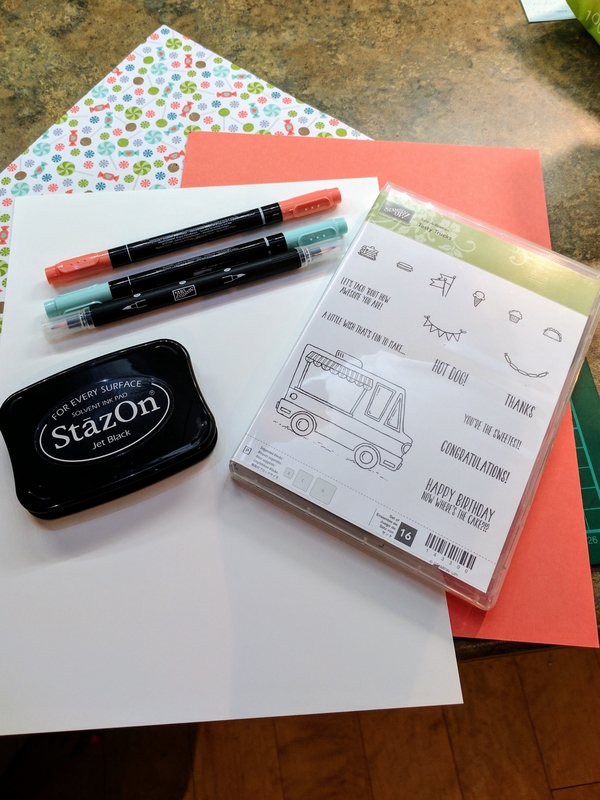 So I bought it and we made him the cutest Valentine’s and Birthday invitations as well. 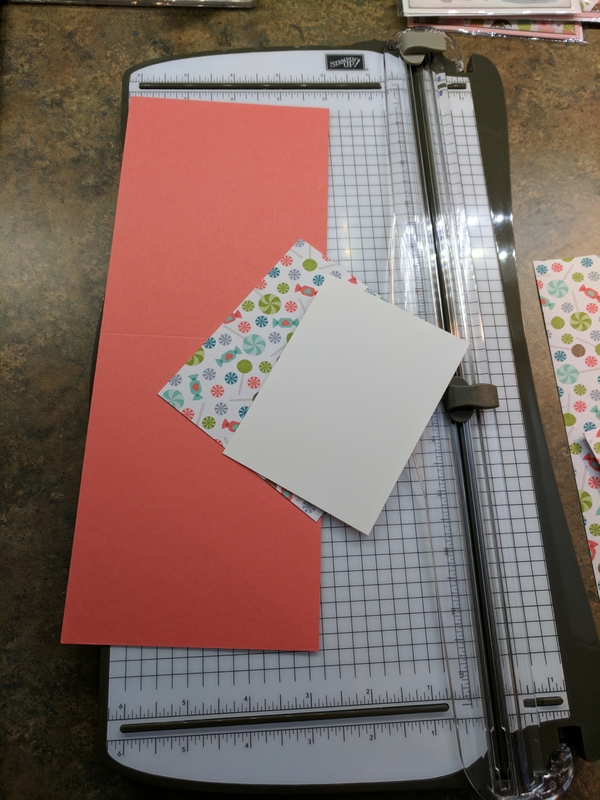 Today I’m mixing it with some Stampin up; patterned paper, Calypso Coral, Pool party and Whisper White card stocks. 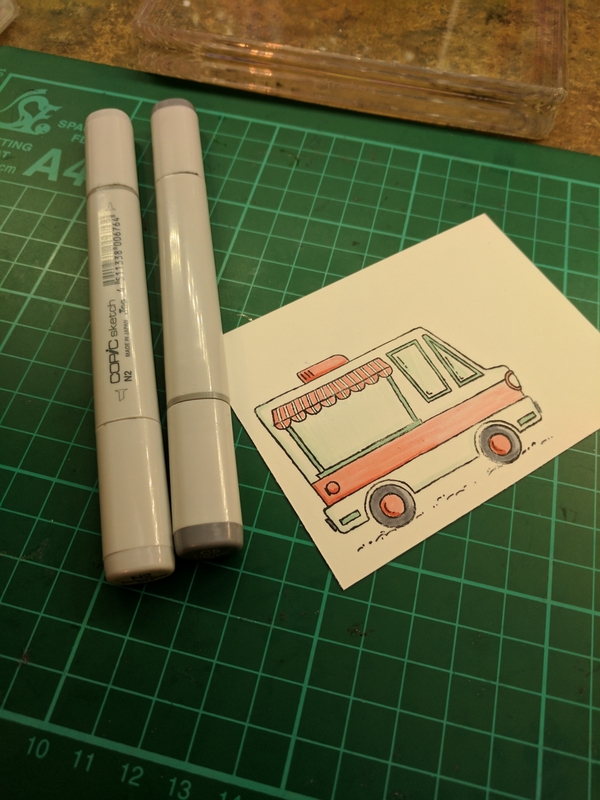 I’m using the coordinating Markers with a Blend pen. 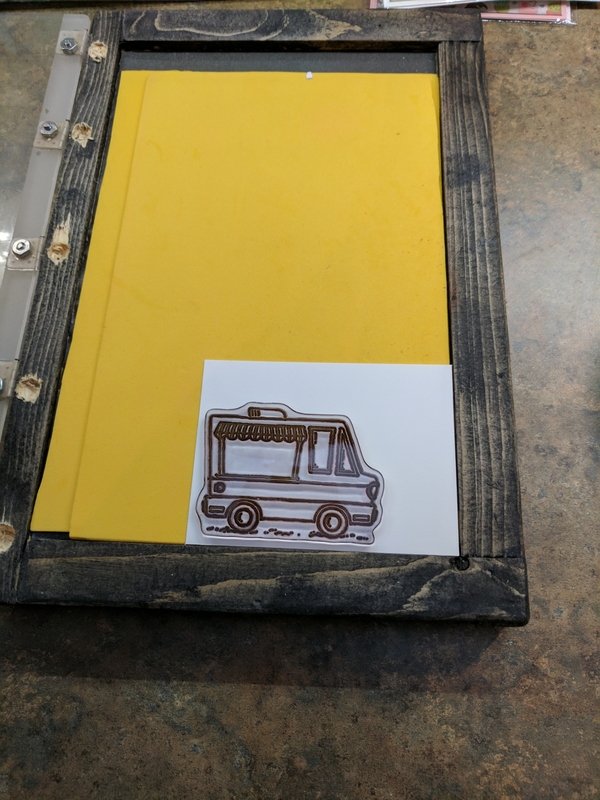 I stamped my truck using Stazon Jet Black with my hubby made stamp tool. From here I began coloring by putting ink on a clear block and picking it up with a Blend pen. I carefully colored the wheels, light and shaded using Copics; N2,C5 and Y15. I added some gold gel pen to the head lamp and curtain. 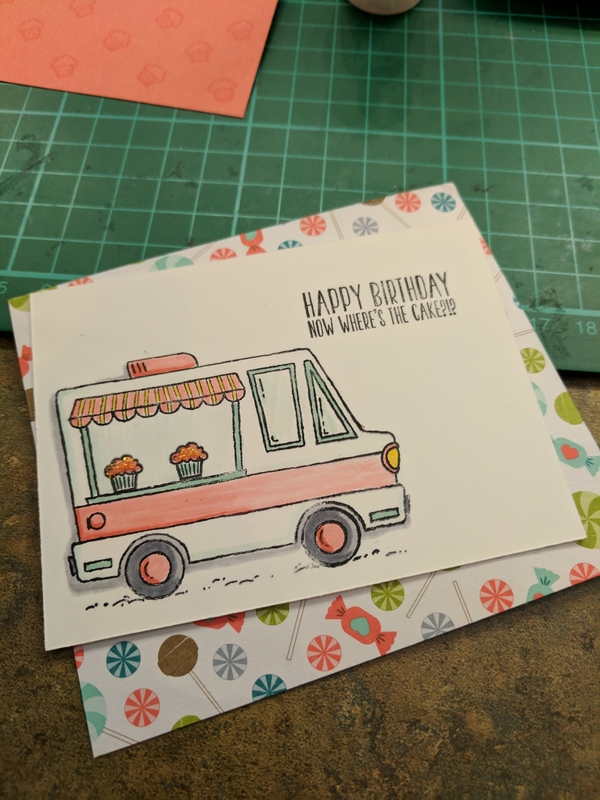 I used the tiny cupcake and randomly stamped it in VersaMark watermark ink to add some interest. I stamped two in the window with Stazon and colored. I added some stickles to the cupcakes in the truck window. The sentiment Happy Birthday Now where’s the cake? Was done in Stazon Jet Black. 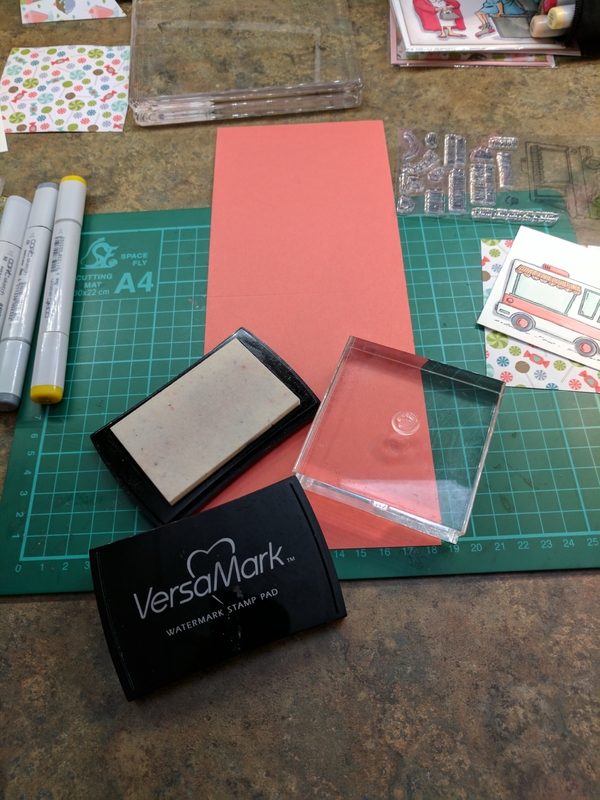 I sponged Stampin ups Basic Gray ink around the two pieces that will attach to my base and put it all together using dementionals on the top piece. 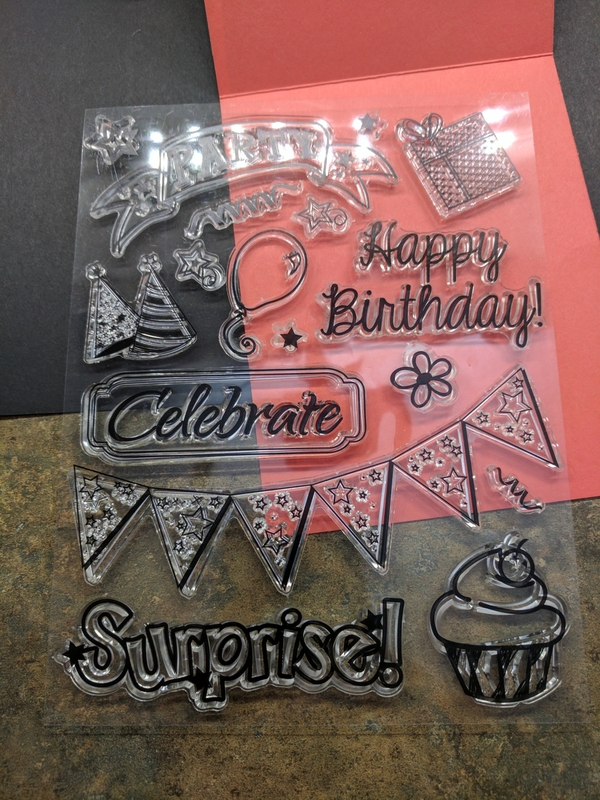 Don’t​ forget the inside of your card! 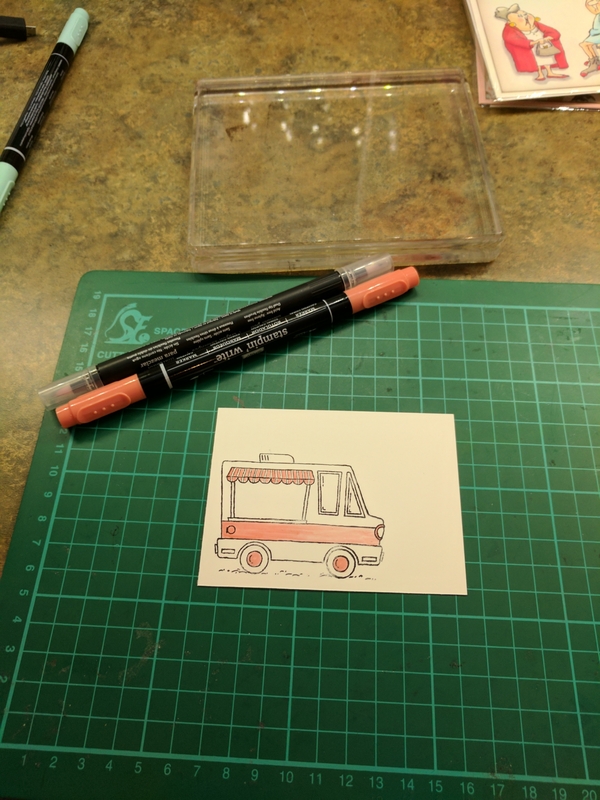 On this one I used a stamp set I already had on my desk. I’m not sure who makes it but it’s a great set. I stamped Happy Birthday! 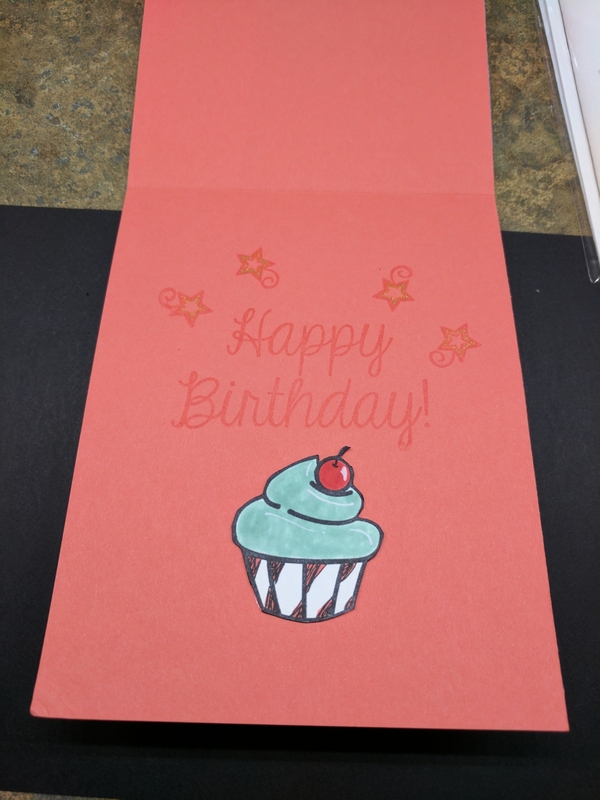 I stamped a cupcake on white, colored it and fussy cut. I put some black around the edges and glued it down. Thanks for for the veiw, enjoy your day!